Are you tired of the same old games that involve mindless clicking, senseless slashing and frantic flicking to get to the next level? 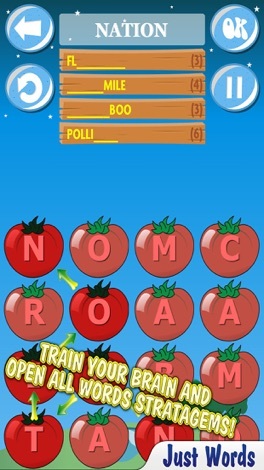 If you’re weary of feeding your pets, growing your plants or your troops and you need a change, try JustWords, the brainy new puzzle game for iPhone and iPad! This entertaining game for all ages (from school age kids to adults) is a nice change from the mindless clicking, flicking and slashing games that flood the App Store these days. It offers players a chance to be interactive and learn something new while they play. 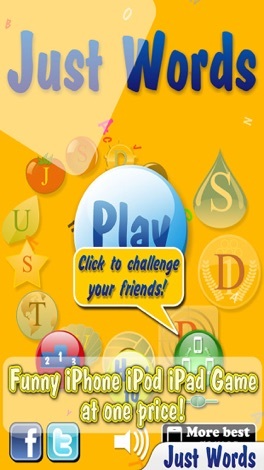 Connect with friends or play with other JustWords fans from around the world. 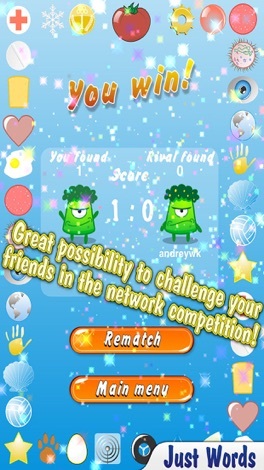 Justwords – the fun puzzle game just got a lot more fun with multiplayer! 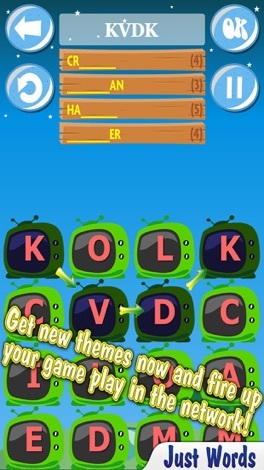 Connect the letters to complete words in your category and score big when you beat the clock. Watch as the locks open with each puzzle solved. When you finally decipher the last puzzle and unbolt the door, you discover the delightful rewards that wait. It’s addicting! 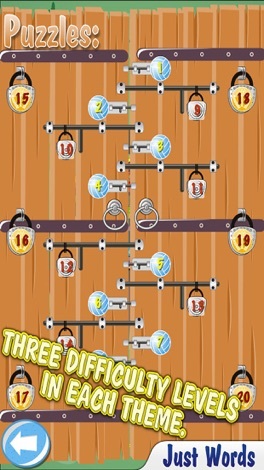 You won’t want to stop until all the word puzzles are unraveled and that final lock is released!